According to my calendar, it’s officially winter! If you’re anything like me then you’re not exactly thrilled by this news- I feel you and I’m sorry. Here in not-so-sunny Ohio, winter typically means freezing temperatures and lots of cold, wet snow. Strangely though, this year the cold and snow has yet to make an appearance. Regardless, when winter hits I am drawn to making big pots of soup to keep me warm. 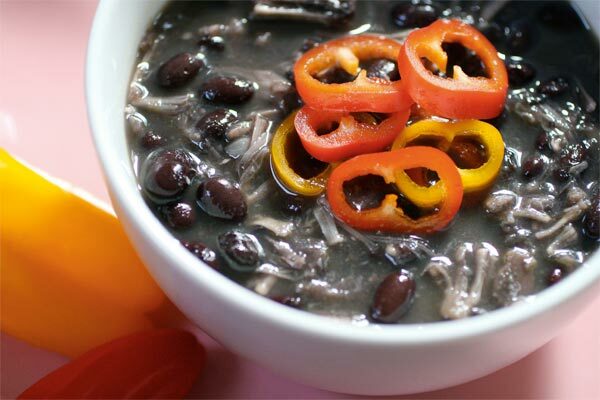 While I have lots of favorite soups, black bean is the one that I make most often. 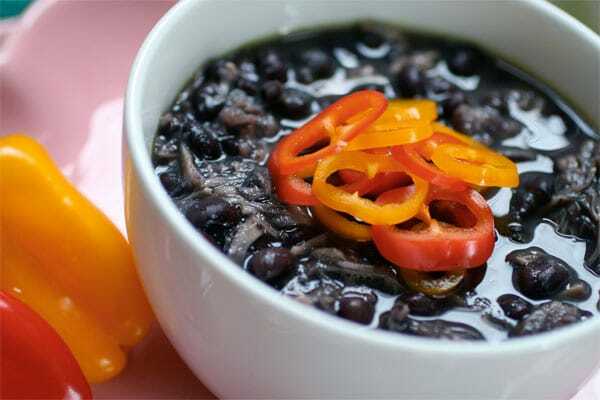 There’s something comforting about a big bowl of plump black beans swimming in a rich spicy broth. Plus, it’s my wife’s favorite soup. 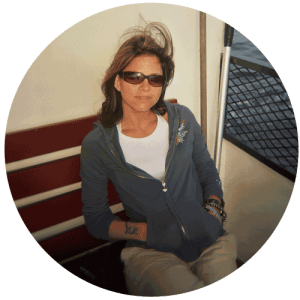 She was the one who introduced me to black bean soup way back when, only those were pre-vegan days and her black bean soup always came with slices of kielbasa on top- gross. I always pulled them off and wrapped them in my napkin for later disposal- don’t tell her, to this day I don’t think she knows. When we decided to live vegan, we did it together and black bean soup was one of the first things I attempted to re-create. I never followed a recipe or learned how to make it, I just guessed until I found a combination of spices that worked well for us. Over the years I’ve gotten fairly good at throwing things into a pot and having them turn out pretty darn tasty. This soup is no exception, except I actually measured out my ingredients this time so I could tell you what I did. Trust me, it’s really simple. This soup is a bit different than the traditional black bean soup I make, this one features jackfruit. You know jackfruit, the fruit that has the consistency of pulled meat? Have you tried this stuff yet? It’s been popping up on recipe blogs all over the place the past year and with good reason- it’s fantastic. Because of it’s shredded texture, jackfruit makes an awesome “pulled” BBQ sandwich and that’s how I usually see it prepared. I’ve been playing around with jackfruit and wanted to try it in something other than a delicious BBQ sauce. I thought it might go well inside black bean soup and I was right. It adds a great hearty chewiness to the soup that’s missing from traditional black bean soup. Brine, Syrup – Which Jackfruit Do You Use? If you’ve never worked with jackfruit before, there’s a few things you should know. First, there are two types of jackfruit: Green young jackfruit in brine and ripe jackfruit in syrup. Both are commonly sold at Asian markets. To achieve the shredded texture that jackfruit is famous for, you’ll need to buy green young jackfruit in brine. 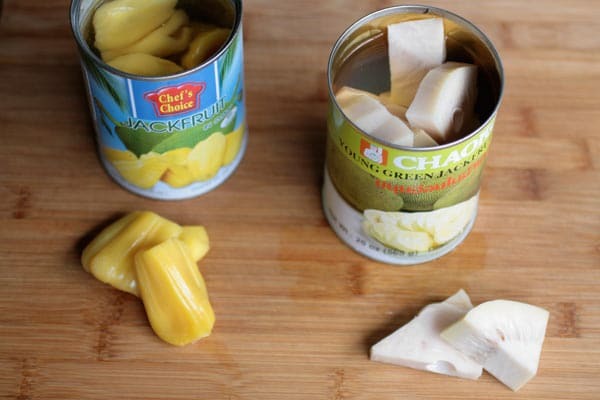 Secondly, you always want to make sure to drain the brine and rinse the heck out of the jackfruit before using it. I made the mistake of skipping this step once and, although I had drained the brine, my jackfruit had an unpleasant bitter taste to it. Rinse that fruit! One final note about jackfruit- the longer you cook it the more it breaks down into shreds. You can speed up this process by, after jackfruit has been simmering for about an hour, using a fork to help break apart the jackfruit into shreds. You can see what I’m talking about here in this article, Jackfruit 101, which has a few helpful photos and a recipe for BBQ Jackfruit. Before I get to this recipe I want to say something about the broth that I use in it. Quite often people are surprised when I talk about using vegan “chicken” stock, thinking that I mean vegetable stock. I don’t. While vegetable stock is delicious in soups (and so darn cheap if you make it yourself), some soups benefit from a rich stock full of flavor that is reminiscent of, well, chicken. I know some people are sitting there right now and saying, “But you’re vegan! Why would you say you wanted to eat chicken??! !” I’m not. But just because I’m vegan doesn’t mean that I don’t like tastes reminiscent of non-vegan food. It means that I’m against taking a life to satisfy my taste buds. I talk about this quite a bit in this Guide to Vegan Meat if you’re interested in learning more. You can find vegan chicken stock at most grocers. My favorite brand is Better than Bouillon’s Vegan No Chicken Bouillon , but Edward & Son’s also makes a great Not-Chick’n Bouillon Cubes that I use from time to time. Either will work in this recipe. If you’re wondering if you can just swap out the vegan chicken stock for vegetable stock, you probably can, but I haven’t tested it and so I can’t tell you how it will taste. If you make this soup, let me know how you like it. I like to top mine with a few sliced peppers because it’s pretty, but you don’t have to. It’s also really good topped with a bit of vegan sour cream or fresh jalapenos, but again, it’s up to you. Plain or pretty, I think you’ll enjoy this soup a lot. I’ve got a big pot of it on the stove as I type and I can’t wait to have it for lunch! A delicious good for you soup featuring plump black beans and chewy jackfruit- and it's all vegan! Drain and rinse the jackfruit and place into pot. Rinse the black beans and place into pot. Add everything else to pot and bring to a boil. Reduce and simmer until black beans are tender and the jackfruit breaks down into "shreds." Cook time can be greatly reduced by using four 16oz cans of prepared black beans. Try to find unsalted canned beans to limit the amount of sodium in the soup. If using black beans that contain salt, be sure to drain and rinse them before adding them to the soup to reduce the sodium. Prepared broth is usually high in sodium so you don't want to overdo it with canned beans or by adding any additional salt. Could I use cooked fresh unripe jackfruit in this recipe? I have a tree with 6 fruits this year. In theory, I don’t see why not as long as it is unripe like you mentioned. Let me know how it goes! What does jackfruit taste like on its own? Is it sweet? (Assuming you use the ripe version) Also, what is the texture of the ripe fruit?